Google has released a new algorithm to provide a more useful, relevant and accurate local search results that are tied more closely to traditional web search ranking signals. The changes will be visible within the Google Maps search results and Google Web search results. The core changes are behind the scenes, but it does impact local search results rankings and some local businesses may notice an increase or decrease in web site referrals, leads and business from the change.Google told us that the new local search algorithm ties deeper into their web search capabilities, including the hundreds of ranking signals they use in web search along with search features such as Knowledge Graph, spelling correction, synonyms and more. In addition, Google said that this new algorithm improves their distance and location ranking parameters.The new algorithm is currently rolling out for US English results and aims to provide a more useful and relevant experience for searchers seeking local results. Google didn’t share any details about if and when the update would roll out more widely in other countries and languages. Google has not commented on the percent of queries impacted by this algorithm update, nor if certain web spam algorithms were deployed in this update.If you have noticed any ranking changes and referral changes for your local business, please let us know in the comments. Why is there no standard definition? 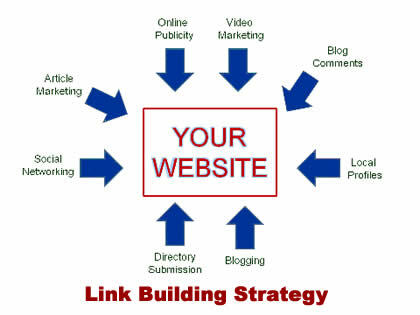 It isn’t like link building is a secret. According to a recent survey, 80 percent of companies engaged in SEO are spending more than $1,000 a month on link building. The lack of a standard definition leads to a large amount of confusion within the industry itself. I’ve met other SEOs and marketers who had a tenuous grasp on link building at best. It’s not like there’s an SEO college. Forget that: SEO is barely taught in universities at all. So what is link building exactly? If you’re asking me for a bare bones definition, I would say it’s the process of going out of your way to find great links. But I don’t think that definition truly does link building justice: it ignores the importance of link building. It ignores the crucial role it can and should play in any online marketing campaign. In my opinion, the true definition of link building doesn’t come from just asking what, it also comes from asking why. 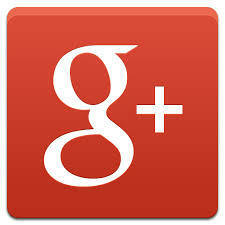 Google Plus recently dropped its name policy, which required users to use their real names. On striving to find the best web development company Delhi, one would figure out the classical display of well researched professional traits by the website development company which could do a round of good to your business.The companies offer SEO and SMO consulting and advanced document management system. They guide you for having prolific personal business software for HR management and trading solutions. One can go for a vibrant business friendly interface with a significantly dedicated content management system and perfect product display. Web development in India has turned out as a paramount mechanism to run businesses and making rivals count different crucial achievements. Today, website is one of the most dominant as well as demanded tool and without it every profession is incomplete. Authors Bio:Ravi Kant Chawla is a well-known blogger, whose most of the content resources are related to Website Development Company India. She has been working with the Web development in India and her content has proved to be fruitful to the readers all around. Website designing is one of the most competitive and volatile professions which demands a predominant blend of creativity and technical awareness. With the emergence of highly conducive web designing programs, many expert designers are scoring big with their exuberant innovative skills. Although, there is a tremendous talent and potential among the designers, nevertheless, you might need to pick an outstanding web designing India service if you wish to come up with an extraordinary web presentation. Delhi is the city which is known as the web designing hub of the country. The city has numerous critical organizations which have been supporting various national and international web clients for designing highly responsive commercial web portals. The designing task requires an accurate study of a product or the service on which a designer is going to incept his work. Most of the times there are directions from the company which is looking for the original designing work. On the contrary, various website designing organizations also display their terrific templates for each and every cardinal industry. If you are going for a website for the very first time, make sure you pick the website designing company Delhi, which offers customizable designs and helps you to attain a significantly resonating website structure to reflect the best traits of your products and services. Authors Bio:RAVi Chawla has been a web developer himself and provides different web designing India services. He is a blogger too and have been providing resourceful content on website designing and latest trends. Acme Graphix can provide enhanced execution is achieved without surpassing the foreordained plan. On time conveyance is one more extraordinary motivation behind why individuals pick for the web outline organization. The administrations are given by a gathering of committed designers who gives complete regard for the ventures approaching. Appropriately, the favored results are expertise in a remarkable system. In general, when planning or anticipating acquiring assistance from a website development organization, it is imperative to appreciate that the attributes of administrations gave is dictated by the capability of the administration supplier and you should do enough market research while hiring a company in this sector. Authors Bio: Ravi Kant chawla is a web developer and a blogger by nature. His acute and extensive work on Website Designing Company Delhi has gained much popularity among the users.